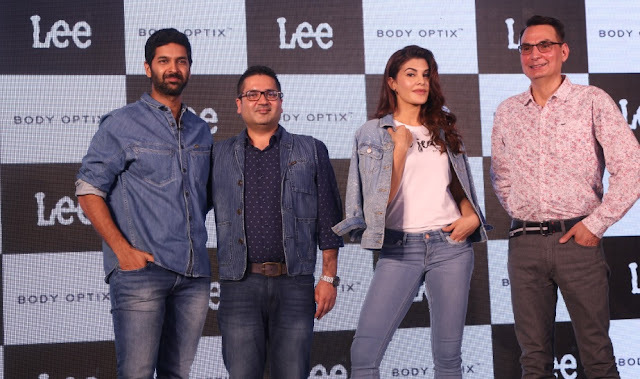 Lee Jeans unveils Jacqueline Fernandez as their Brand Ambassador! Hyderabad, February 15, 2017: Lee Jeans, has always been synonymous with innovation in the world fashion scene over the last 128 years. As it’s always been, Lee’s history tells a story of constant progress and innovation. Of change. Of standing out over generations. And for the first time in India, the brand has partnered with a celebrity who reflects the same characteristics as that of the brand. In an exclusive media event held at JW Marriot Sahar, Mumbai, Lee Jeans unveiled Jacqueline Fernandez as their brand ambassador! Jacqueline with her optimistic spirit is known to have charted her way into the competitive Bollywood industry, making a mark of her own. An extremely popular personality, especially among the youth as she embodies the energy of today’s generation. This is reflective in her versatile craft and her curious attitude as she explores new mediums and new formats in the entertainment industry. Hence Lee has signed her up to further re-instate the brand’s own personality. 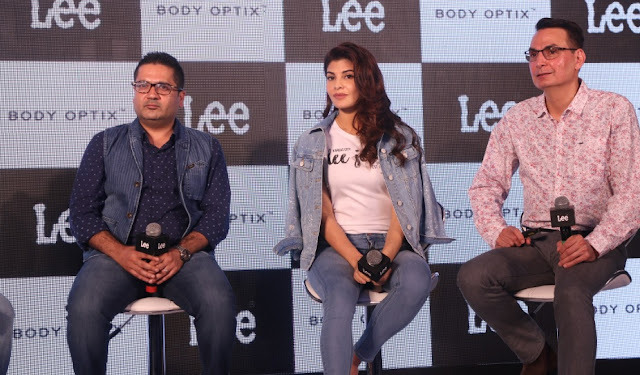 Jacqueline’s immediate campaign with Lee will showcase their latest product innovation for the Indian Woman – Body OptixTM. Lee Jeans have always been flag bearers of relentless ideation, meeting true-blue craftsmanship. Creating stories in authentic denim, in all shapes, fits and sizes. Where curiosity inspires unique thinking. Pioneering fashion with purposeful designs. And delivering to the world of fashion, denims crafted with over a century’s worth of rich heritage; leading to creation of historic styles but with contemporary stitching. At the event, Lee Jeans also unveiled a game changing product innovation designed for the Indian woman - BODY OPTIX™ denims! Here, traditional denim designs are combined with ground-breaking vision science and design to create holistic body shaping specifically for the Indian female body. “With BODY OPTIX™ denims, Lee Jeans is revolutionizing the way denims have been envisioned, created and worn in the world! The primary objective of the brand has always been to bring to the end consumer, denims that are comfortable, easy to wear, yet add that certain X factor for the wearer and enhance their denim-wearing experience, said, Mr. Sharad Walia – General Manager of Lee India. Lee BODY OPTIX™ is a joint accomplishment between vision scientists and denim designers. After extensive scientific tests and consumer research, premium LYCRA BEAUTY® fabrics and authentic design details have been incorporated with exquisite craftsmanship. The collection promises to create holistic body shaping specifically for the Indian female body, with an unprecedented 360° total body shaping and fully flattering fit. Lee’s passion for denim, together with the constant pursuit of innovation, has produced the finest denim garments. Each piece is testament to the heritage and craftsmanship that has exemplified Lee as one of the world’s pioneering denim brands. BODY OPTIX™ is the result of more than 128 years of experience and expertise in designing the best denim. Lee continues to stay curious and explore all things new, constantly looking at the world from new angles, and never restricting themselves to the possibilities of better and more purposeful denim designs. Lee is one of the world’s most iconic signatures of quality, innovation and craftsmanship. Following the establishment of the H.D. Lee Mercantile Company by Henry David Lee in Kansas, U.S., in 1889, Lee embarked on its journey to become a legendary denim brand. Over the years, Lee has made history with its many product innovations including the world’s first-ever zip fly jeans – the 101Z in 1926, the iconic Hair-on-hide leather label and the Lazy S back pocket stitching. From the launch of the 1st Lee bib overalls to the 13oz 101 cowboy jeans, Lee has demonstrated an undying passion for innovation, and has transformed itself from a practical and durable work-wear maker to a contemporary and trend setting fashion giant.